A lovely introduction to the Middle Ages, Carol P. Roman’s latest adventure is sure to spark imaginations. 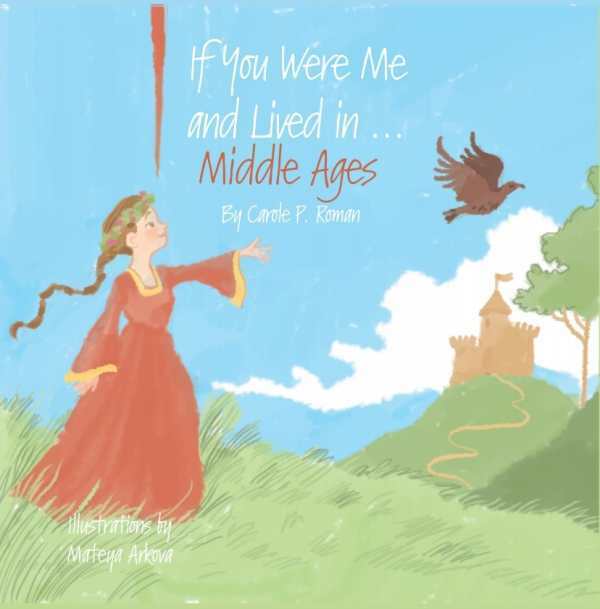 In Carole P. Roman’s If You Were Me and Lived in…the Middle Ages, young Aalis shares a unique point of view as the daughter of a knight living in medieval England. Filled with fun facts and insights into feudal life, the book bridges the gap between teaching history and experiencing it. If You Were Me and Lived in…the Middle Ages maintains an informal, conversational tone while presenting a vast amount of information. The Roman Empire, for instance, “fell apart” in just a few sentences that highlight pertinent facts; much of the political minutiae is skimmed or skipped, keeping the focus instead on Aalis. From her father’s linen underpants, or braies, to her favorite activity, tournaments, and everything in between, life in the manor keep is examined, with the spotlight always on the character’s own involvement and point of view. The book flows from topic to topic and introduces a myriad of terms, as well as period concepts related to the church, science, and class systems, and even introducing hawking and bear-baiting. There are a few textual inconsistencies, and some typographical repetitiveness bars perfect clarity. Soft and dreamy illustrations from Mateya Arkova cover two thirds of each two-page spread, each accompanied by an average of four paragraphs. The muted depictions of medieval life are all soft edges and flowing lines and colors. These stand in contrast to the text, which, given the vocabulary, subject matter, and quantity, seems geared toward a slightly older audience. A lovely introduction to the Middle Ages, Carole P. Roman’s latest If You Were Me adventure is sure to please students and teachers alike, sparking imaginations at home and in the classroom.